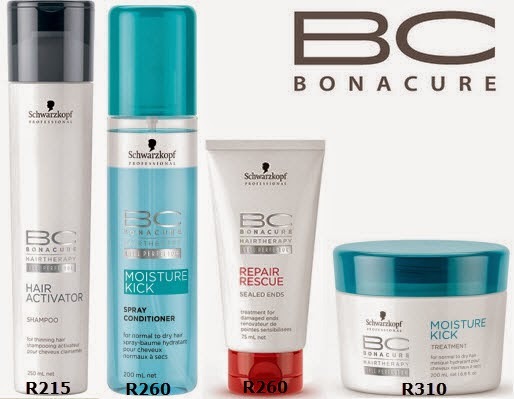 Schwarzkopf BC Bonacure / Gee Whiskers! I few weeks ago I attended the launch of the revamped Bonacure range. The event was held at the beautiful Style Bar in Tygervalley Mall. We were treated to a Power Shot Rescue Concentrate hair treatment and thereafter had our hair styled by our own personal hair dresser. We also left with a bag full of products to treat each of our hair concerns / needs. This is going to be quite a long post so grab a coffee! I was given the following products: Hair Activator, Moisture Kick Spray Conditioner, Repair Rescue Sealed Ends and Moisture Kick Treatment. I was given this product because I still suffer with anaemia and as a result my hair falls out A LOT. This shampoo is said to reduce hair loss within 6 weeks. I will be honest, in the time that I have used the shampoo, I haven't really noticed any new hair growth because it isn't something one can easily see - however my hair has definitely felt stronger and slightly denser. When hair is thinning, hair loss must be reduced and the best way to do this is by increasing the production of growth factors to the root as well as targeting the hair follicles with high energy-nutrients to revitalize the scalp and hair. This will help to reduce loss, as well as support the vitality of hair roots. The BC Hair Activator formulas are formulated to help activate root energy, stimulate cell division and reproduction too, while herbal extracts and essential oils densify and improve hair quality. I battle with fine, dry hair that needs a lot of moisture while at the same time not being weighed down by heavy products. This leave in conditioner is light weight however I really don't know how much of this product I should use. I've definitely realised a light spray doesn't really help condition my hair and I do end up spraying quite a bit. When I give my hair a good few sprays I do find that it is nicely moisturised but I still struggle to adjust to not using a traditional conditioner while washing my hair. But this spray conditioner is great whenever I wash my hair and think it needs a bit extra moisturising. Hyaluronic Acid Derivate rebalances the moisture level of hair and scalp combining with Cell Perfector Technology to smooth the surface of the hair and bring beautiful suppleness, manageability, bounce and shine to each strand. Everyone at the event received a tube of this. Described as being the equivalent of a hand cream for hair, this is a cream serum that helps to seal your hair and prevent split ends. It can be applied to wet or dry hair. I use a tiny amount every second day on the lengths and ends of my hair and have definitely noticed that my ends especially look good. I haven't had a hair cut since April and I don't have any visible split ends. This mask is designed to hydrate hair and as with the leave in conditioner, it contains hyaluronic acid to deeply hydrate hair. My hair looks and feels incredibly soft and shiny after using this mask. Once a month I add a bit of the Power Shot Repair Concentrate to the mask to really amp up the mask and my hair looked AMAZING. Only problem now is that I no longer have any Power Shot Repair Concentrate left and I can't purchase any for home use. I have explained this below so keep reading on if you want to know why. While at the event we received a treatment of the BC Power Shot Repair Concentrate to intensely nourish our hair. There are 3 different Power Shot Concentrates to choose from: Shine (to add shine to your hair and protect it), Repair (to intensely nourish hair) and Smooth (for intense smoothness). These are treatments that you can only receive in a salon and are therefore not available for purchase. I received a dose of the Power Shot Repair Concentrate, while at the salon, which is formulated to nourish hair. I definitely noticed a massive improvement in the texture of my hair after the treatment. Not only did my hair look more nourished but it felt much less dry and looked alive for a change - instead of the usual fine, dull hair. The Power Shot is designed to be added to a BC conditioner or BC mask and left in the hair for the amount of time your base product is recommended to stay on for. I asked my hair stylist at the event how long the treatment lasts in your hair and she said about 1 week. For about 2 weeks I saw the full benefits of the treatment I had and using the BC products definitely helped improve the overall condition of my hair. I was lucky enough to get the remainder of the tube to take home with me. It has been such a great journey using these products. 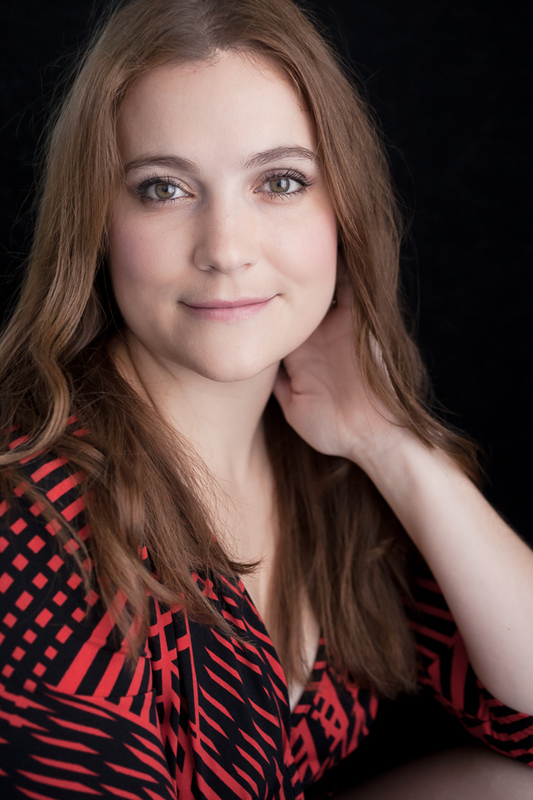 I always believed that one had to use all the same type of products and I have found that by addressing certain issues individually in a hair care system, I really see fantastic results. All these products are available for purchase on the RetailBox website. 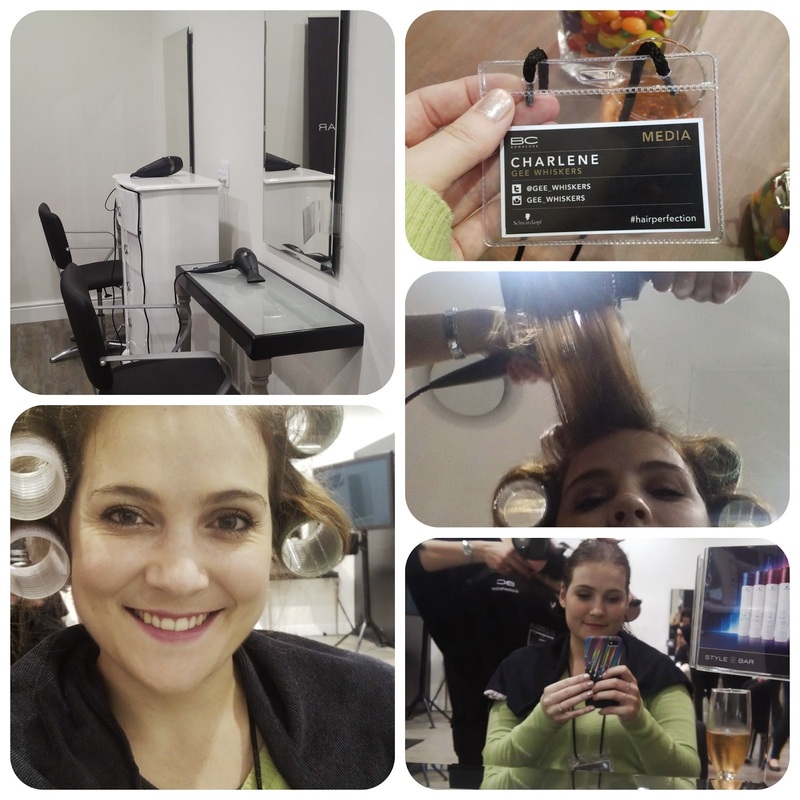 Thank you to RetailBox, StyleBar and Schwarzkopf for spoiling me and transforming my hair!